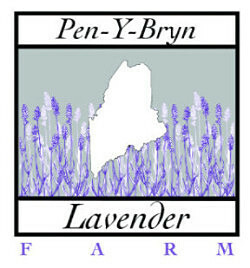 At Pen-Y-Bryn Lavender farm we specialize in distilling high quality lavender essential oil and hydrosol. We harvest our lavender (Lavender Phenomenal, Lavandula intermedia) by hand with a scythe when the lavender is at peak oil content. Our oil is steam distilled in our custom made essential oil still in small batches with the utmost care. 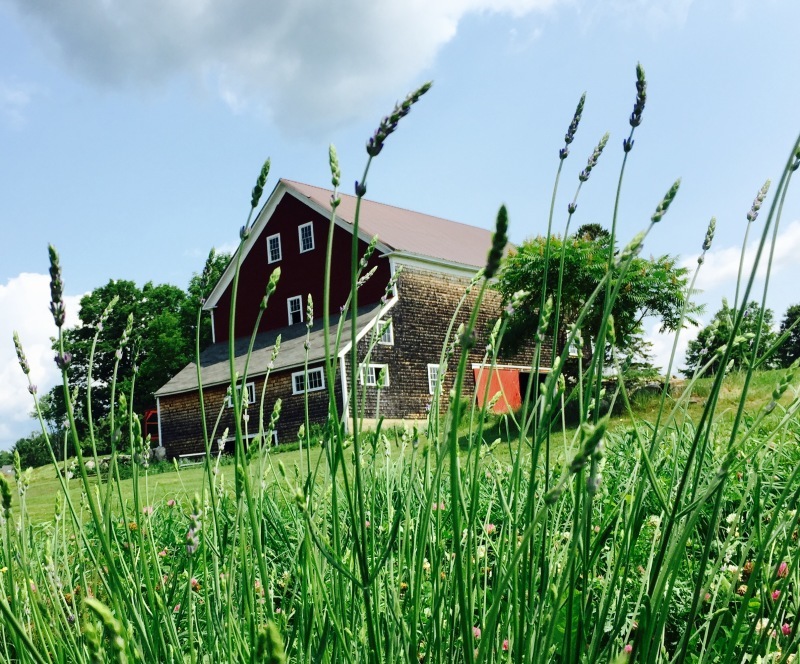 We then bottle the essential oil and hydrosol, and other wonderful lavender products. Our product is 100% natural in that we do not use any chemicals or pesticides on our plants or add any additives or perfumes to our products. 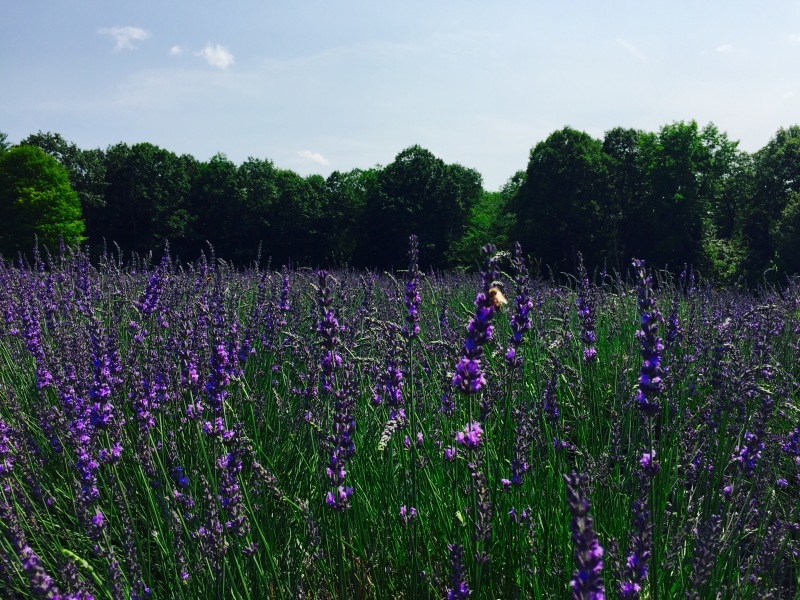 We love our lavender and hope that you will too! We're always happy to have visitors to Pen-Y-Bryn Farm! Our lavender at Pen-Y-Bryn is usually in full, glorious bloom during the month of July. We at Pen-Y-Bryn Farm warmly welcome visitors to experience the sensation of walking between the lavender rows abuzz with bees. Our products are sold seasonally at local farmers markets near our home, and year round at local vendors (Green Gardens and McLaughlin Gardens & Homestead in South Paris, and at Fare Share Co-Op in Norway). Please contact us directly for wholesale prices and where to purchase our products. 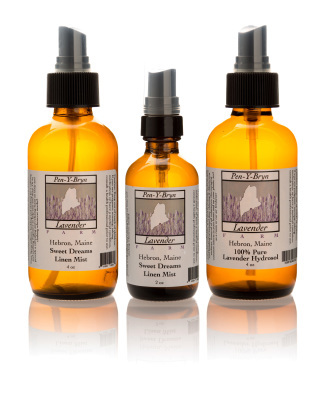 Our lavender sprays, including hydrosol and linen mist, are refreshing and multi-purpose sprays with a clean and gentle scent. 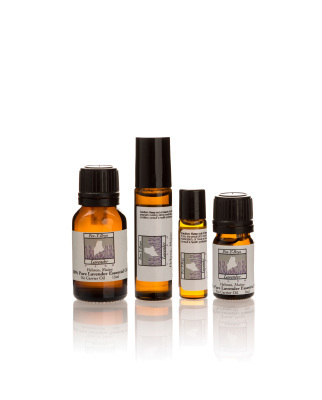 Our lavender essential oil is pure, soothing and wonderfully fragrant. We grow, harvest and distill our own lavender so the product you receive is simple, pure and without any added perfumes or chemicals.